Journey along Oregon’s breathtaking coastline stopping for viewing wildlife, pristine beaches and rocky cliff headlands. Learn about natural, Native American and regional history. Northern Oregon Coast Tour options include beach or ancient forest walks, shopping, wine tasting or cheese factory visits. 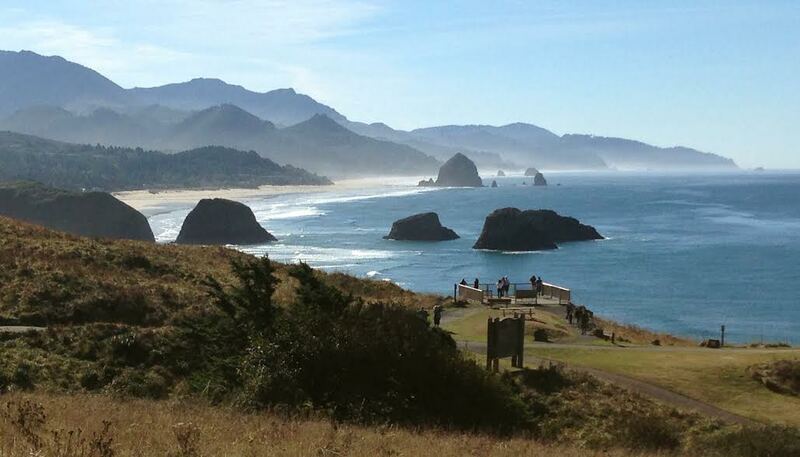 Note: Although Astoria is historic, we think this part of the Oregon Coast is more beautiful and majestic. Full day $129.00. Group discounts available for 30+ guests. 8:30 AM Pickup at your hotel or residence. Travel west from Portland through the picturesque farmland of the Willamette Valley, where many types of fruits, hazelnuts and flowers are grown. Pass through Oregon’s premier vineyard region, famous for its award-winning Pinot Noir, Chardonnay and Pinot Gris wines. 10:00 AM Leaving the Willamette Valley, we’ll travel through the rain forests of the Coast Mountain Range. A quick stop is made for a coffee break at Camp 18 Restaurant and Logging Museum to view historical logging equipment and a short exploration. 11:00 AM Arriving at the coast we’ll stop at Ecola State Park for world-class views of the rocky cliffs, gorgeous beaches, and enormous offshore volcanic rocks including the famous “Haystack Rock.” EcoTours carries 45-power wildlife spotting scopes on all tours to view wildlife such as the harbor seals and pelagic birds which sun and nest on these offshore wildlife refuges. 12 Noon Next, we’ll stop at the artist’s community of Cannon Beach for lunch. You will be shown a variety of popular restaurants in the small downtown area and be given time for lunch on your own. After lunch, spend time browsing in art galleries or take a short walk on the pristine seven-mile strip of adjoining beach. 1:30 PM Continuing south on Highway 101, we will stop for more ocean views heading south and soon enter Oswald West State Park. If you want (not required), we can walk into an original “Old Growth” forest to experience some of the tallest trees in the world. Next, we’ll have unbelievable views of the Pacific from Neahkanie Mountain. 2:00 PM Heading south we’ll pass through the charming fishing villages and lovely resort areas of Nehalem Bay, Wheeler, Rockaway Beach, Garibaldi and Bay City. 3:00 PM Arriving in Tillamook, you will have a choice of either touring the famous Tillamook Cheese Factory and sampling their delicious American-style cheeses and creamy ice cream, or stopping at the Blue Heron Cheese Factory for samples of French-style Brie and Camembert cheese and wine tasting. 3:30 PM We’ll complete the tour loop by crossing through the Coast Range along the gorgeous Wilson River before entering the Willamette Valley and back into Portland. 5:30 PM Arrive back at your hotel or residence. 1. 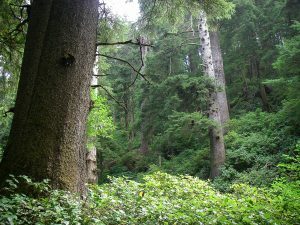 Ancient Forest Walk option, featuring a naturalist-guided “Old Growth” walk into Oswald West State Park to view ancient Sitka Spruce forests. You will learn about Pacific Northwest forest ecology and see these beautiful standing giants which are hundreds of years old. Non-hikers are able to relax with beautiful views overlooking the temperate rain forest. 2. 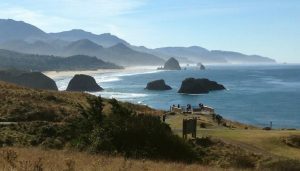 Northern Oregon Coast Historical Tour, featuring Cannon Beach and then north to Astoria, Oregon, at the four-mile wide mouth of the Columbia River. EcoTours guides know about the fascinating history of this area, as well as some of the local great viewpoints and historical sites. Options on this history-oriented tour include: Fort Clatsop featuring Lewis and Clark history, Fort Stephens featuring beautiful beaches and shipwrecks, the Columbia River Maritime Museum, and the Astoria Column featuring terrific views of the Columbia River, N.W. Oregon and S.W. Washington State. 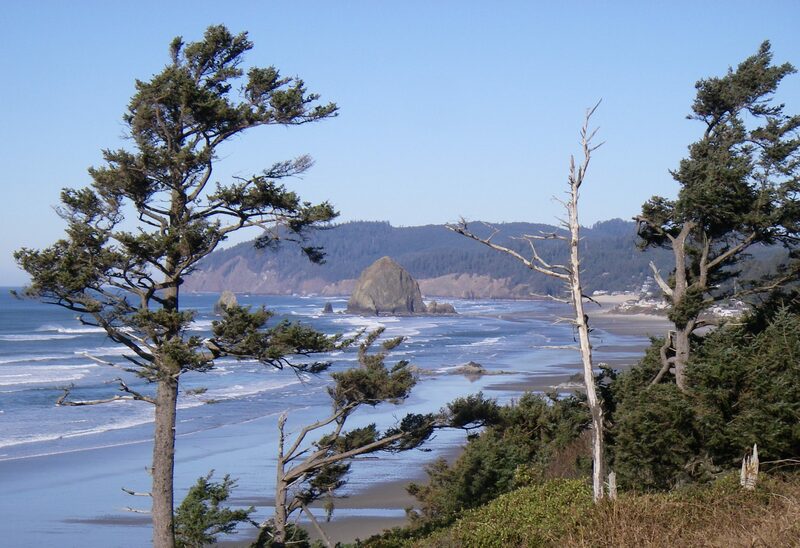 The cost of Northern Oregon Coast Tour is $129.00 per person, which includes door-to-door transportation and the interpretive naturalist services of your ecotour guide. Group discounts available for 30+ guests.